We begin by reminding you of what we mean by the word ‘root’. In this course we use this term in two different, but related, senses, as given below. 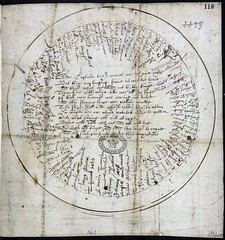 This Round Robin letter is addressed to the captain of a ship in King Charles I’s employ. Flight Director Chris Edelen and the Houston Flight Control Team gathered in Mission Control on Monday, Dec. 29, to wish Space Station Commander Barry “Butch” Wilmore a happy fifty-second birthday in space. The 8th presentation in the series features the return of author and online contributor Dr. Alan Bowling. Dr. Bowling is from Denver and is internationally acknowledged as the leading medical expert on the use of complementary and alternative medicine for treatment of MS. He discusses the use of vitamins, herbs, marijuana, and other non-standard treatments for this disease.